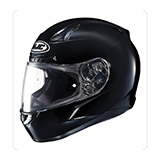 The HJC CL-17 Helmet hits the same safety ratings as the big boys yet comes at a lower price point. Advanced ventilation channels do most of the work to help keep you cool. 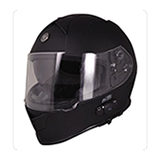 Out of the box, this helmet comes with a Pinlock-ready face shield. 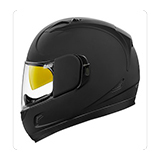 The IS-17 is one of the most popular HJC street helmets and is available in solids (black, white, silver, anthracite) and a few different patterned graphics, including the Intake pattern - silver, red, blue, purple and high-viz yellow and the "Genesis" graphic in black and orange. 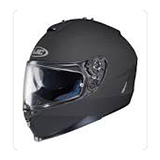 The IS-17 offers a comfortable fit, thick chin strap cushions, and a sun visor that provides outstanding coverage. Key features: lightweight, excellent venting, internal drop down sun shade, inflatable cheek pads, and communication system speaker pockets. Stop by and check it out!